Der Artikel Alessandro Scarlatti (1660-1725): Kantaten & Kammermusik wurde in den Warenkorb gelegt. The soprano Clara Rottsolk joins Tempesta di Mare Chamber Players for a disc of cantatas and instrumental music by Alessandro Scarlatti. Though his cantatas and operas are little known today Scarlatti was a titan in his time, closely associated with Rome’s Arcadian Academy and an inspiration to the much younger Handel, a frequent visitor to the Academy. 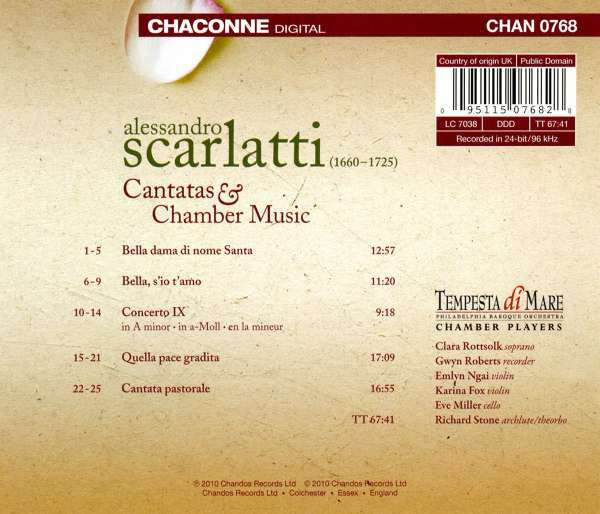 Scarlatti’s specialty was the cantata, the operatic equivalent of the short story, in which music and narrative are distilled to their core, resulting in beautiful and moving yet succinct multi-movement vocal works. Tempesta di Mare has programmed four rarely performed Scarlatti cantatas, the Quella pace gradita, Bella dama di nome Santa, Non sò qual più m’ingombra (Cantata Pastorale) and Bella, s’io t’amo alongside Concerto IX in A minor. 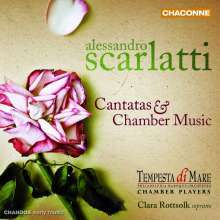 ‘We chose these cantatas to show the range of things that Scarlatti does with one voice and a small complement of instruments’, says Gwyn Roberts, artistic co-director of Tempesta di Mare. The cantatas are complemented by a concerto. 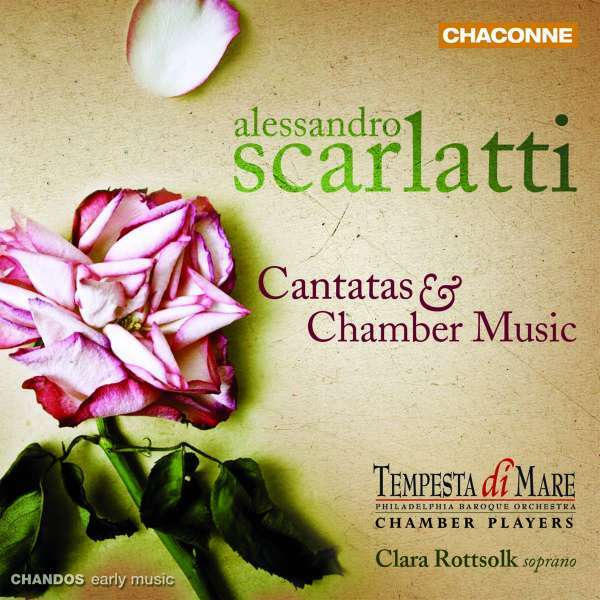 Scarlatti’s instrumental music, like the vocal music, is much more concerned with the intricate interweaving of voices and the subtle detail of line than it is with raw virtuosity. Concerto IX, which appears in a manuscript collection dated 1725 (the year of Scarlatti’s death) certainly bears this out. Scarlatti’s use of the recorder, both here and in the rest of the programme, reflects the recorder’s great popularity throughout most of Scarlatti’s career.